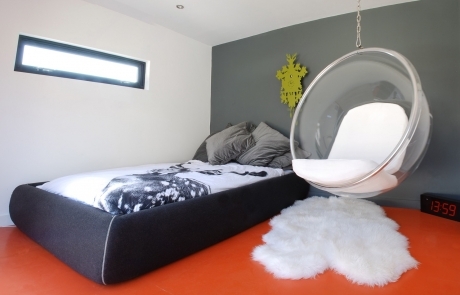 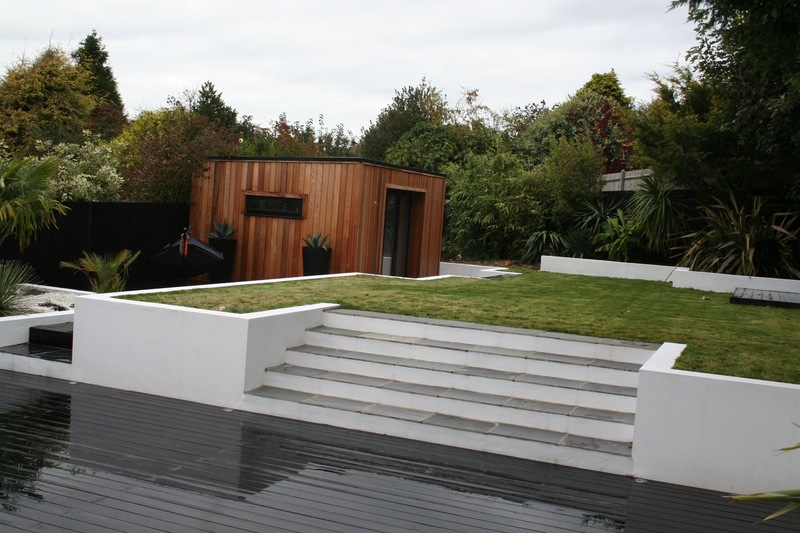 We built our first studio in 2008 for Lucy, as a lovely bedroom and shower-room in her newly landscaped garden in Hove. 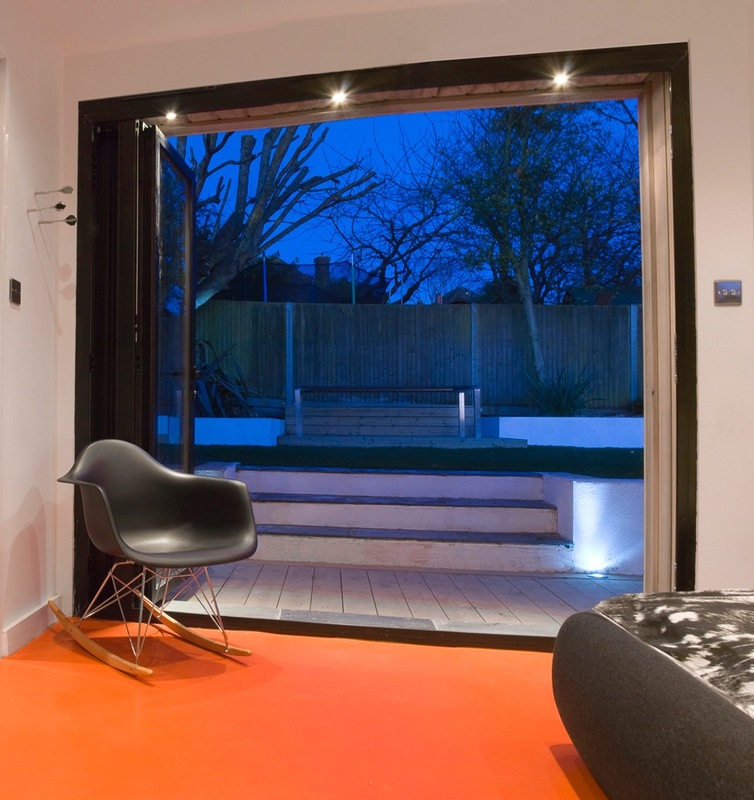 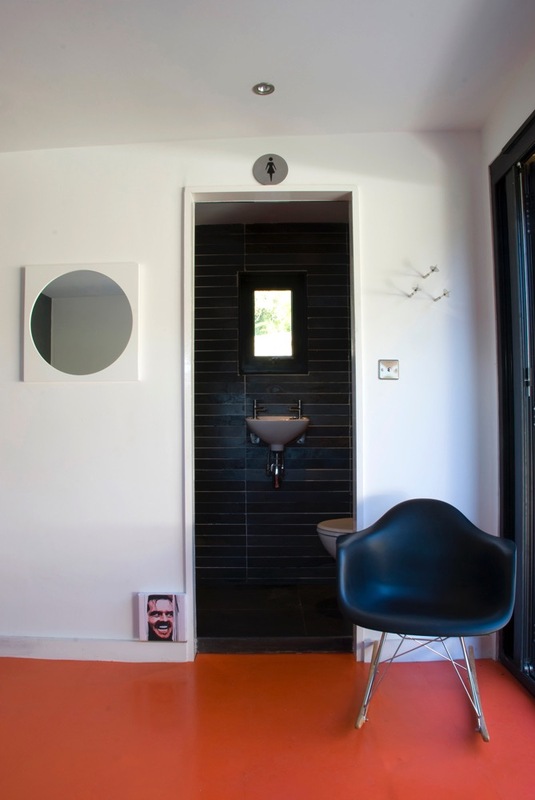 We included aluminium bi-fold doors, grey slate bathroom tiles, and orange rubber flooring to create a stylish backdrop to complement Lucy’s flair for interior design. 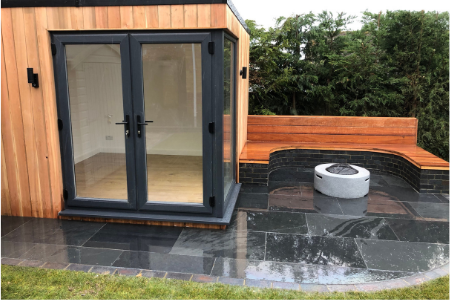 We will work with you to create your ideal space. 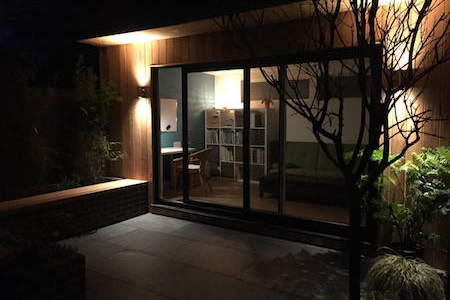 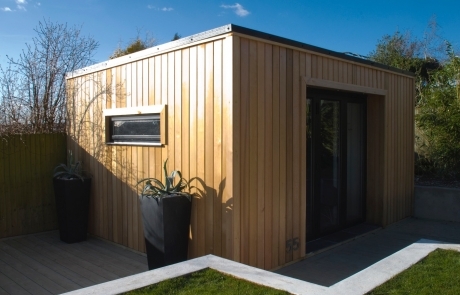 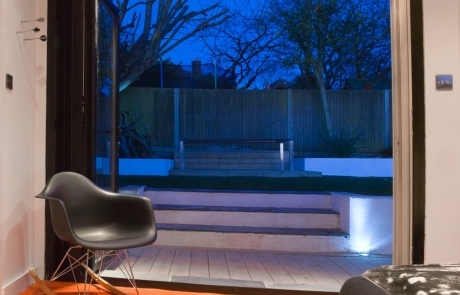 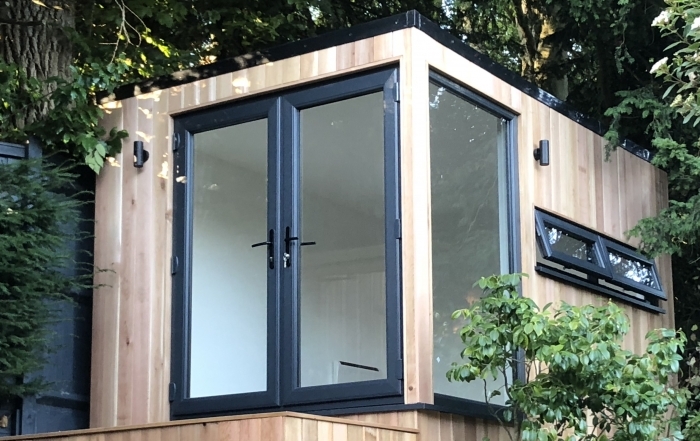 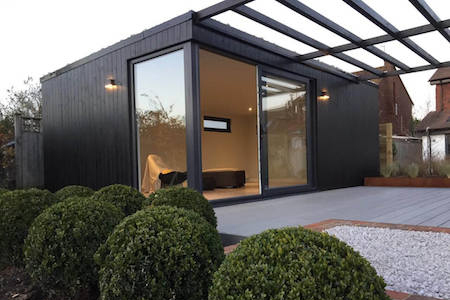 All of our garden rooms are built to suit each individual client, no two are the same so you can be assured you are getting the perfect studio for you and your needs! 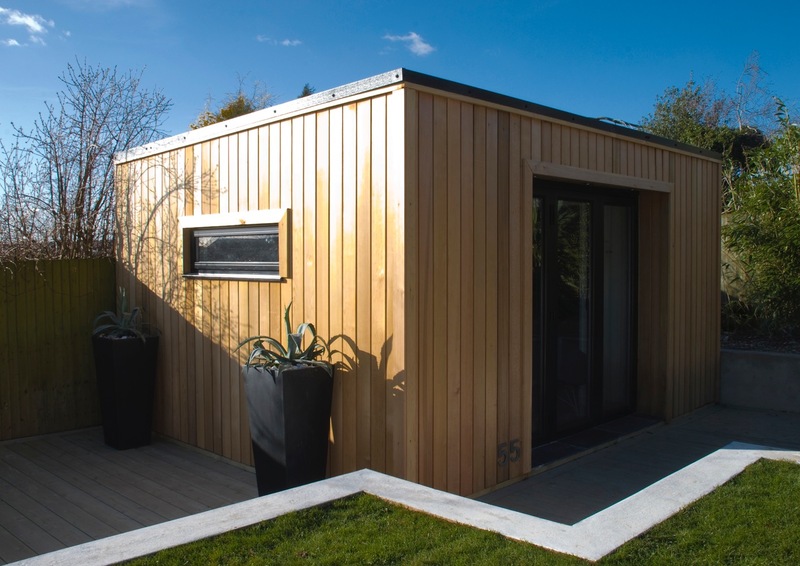 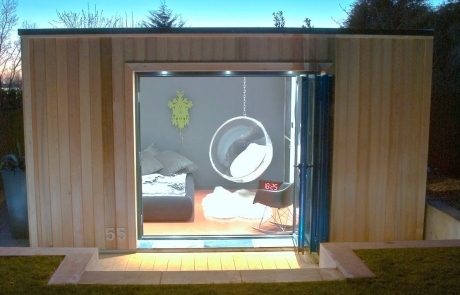 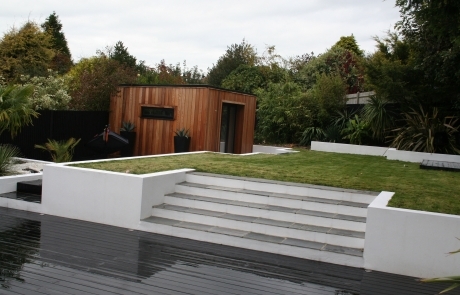 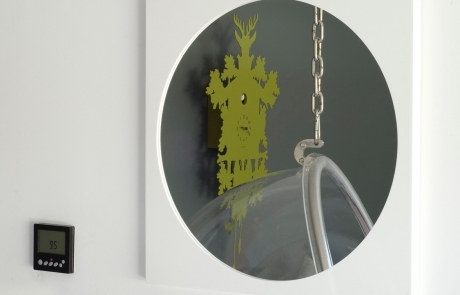 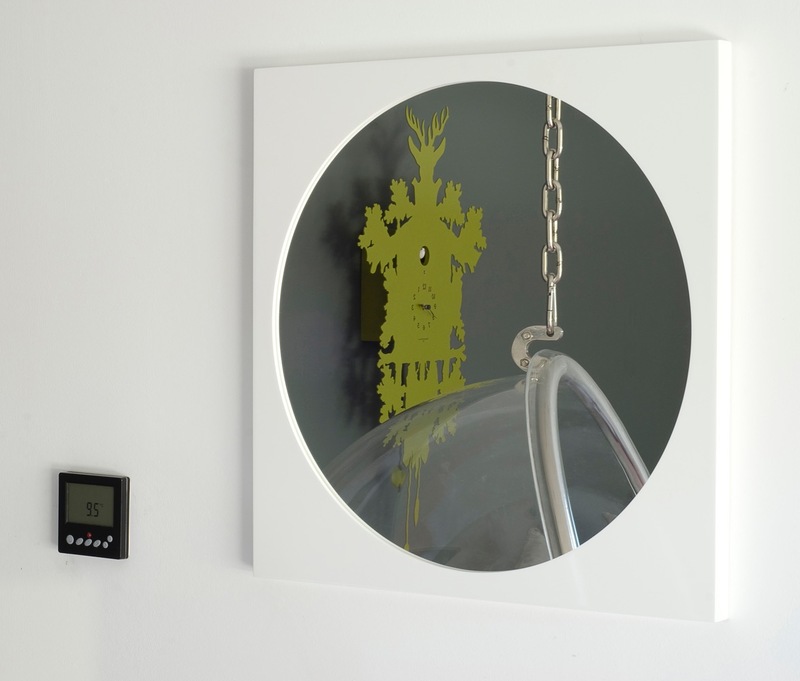 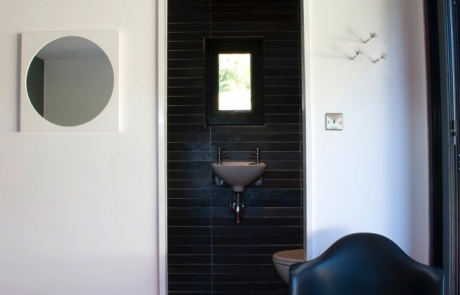 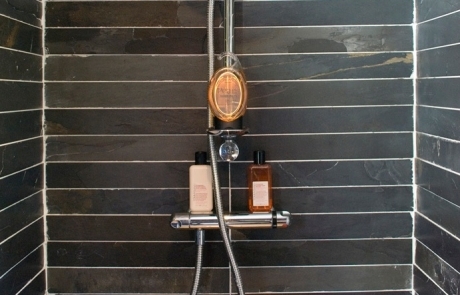 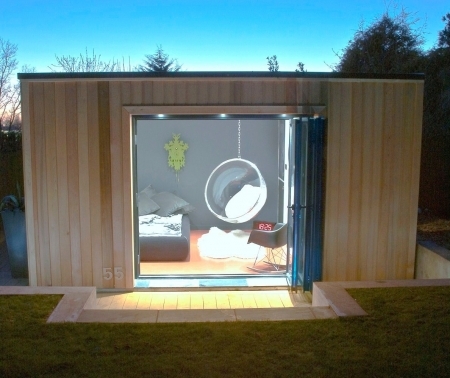 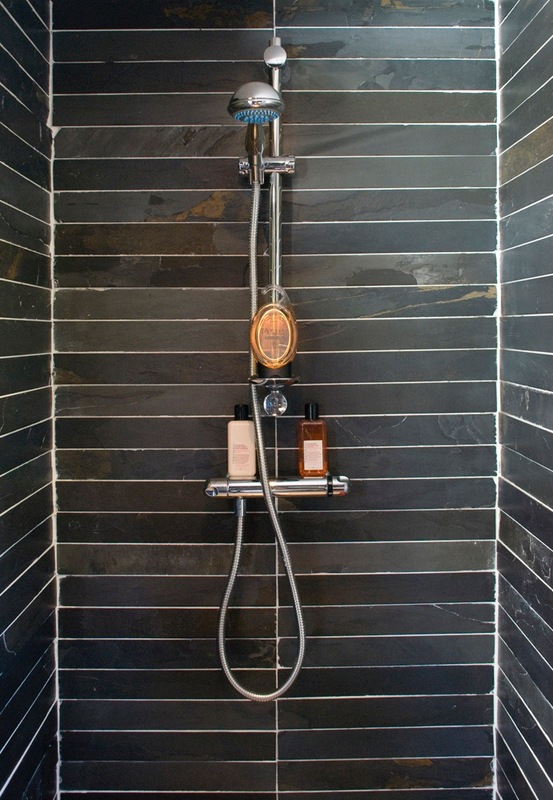 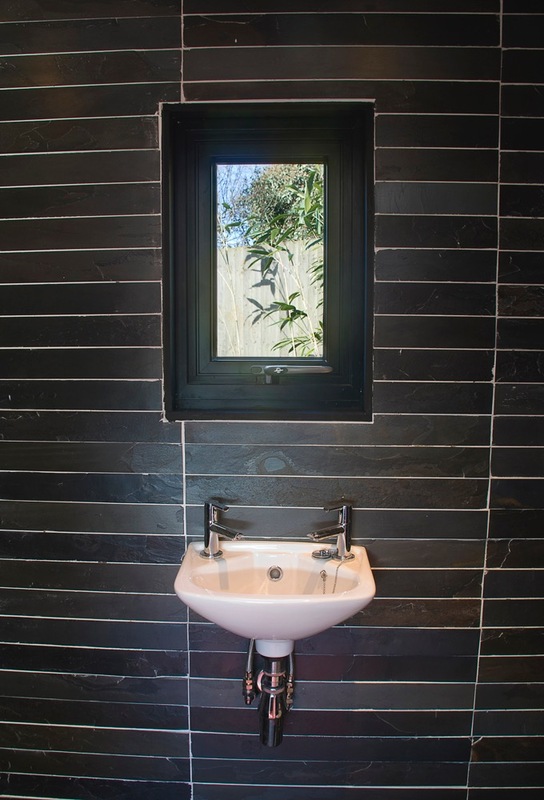 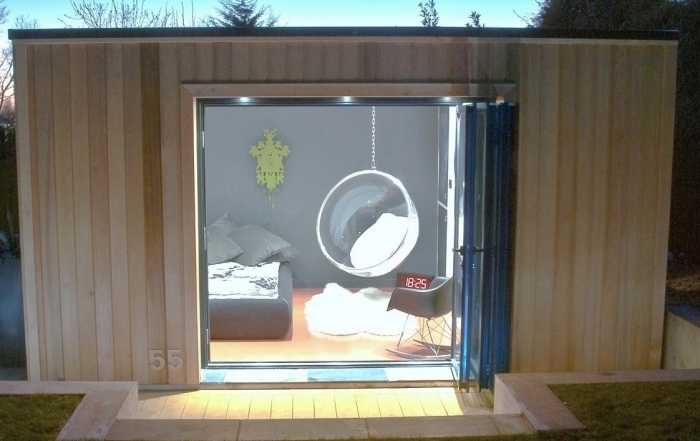 Our studios can be adapted to incorporate bathrooms, kitchens or bedrooms and are built for year round use. 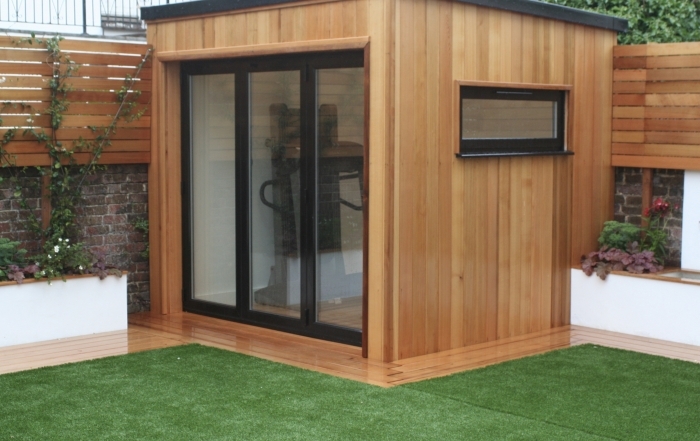 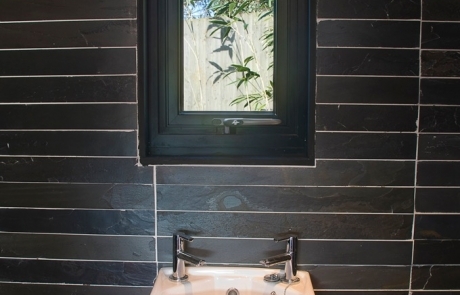 You could even have log burners, underfloor heating or air conditioning installed!